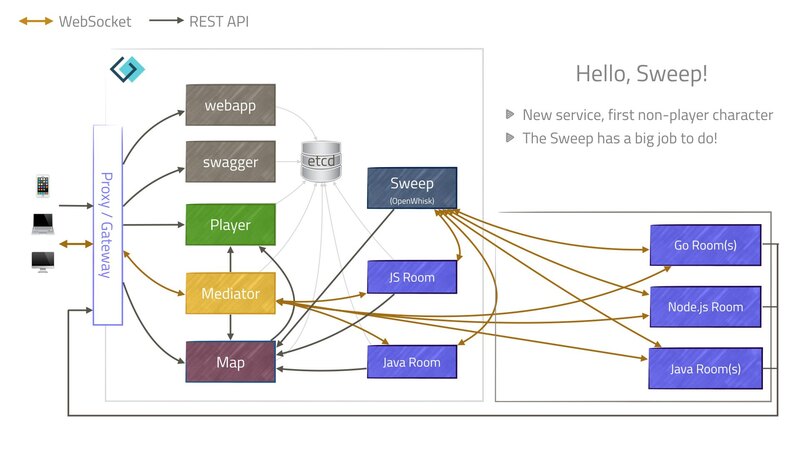 Swept away…​ · Exploring Microservices — Game On! Our first non-player character! The Sweep is in early days, so we don’t know in what directions it will grow, but it will serve an important function: keeping the map alive and vital by pruning sick rooms.